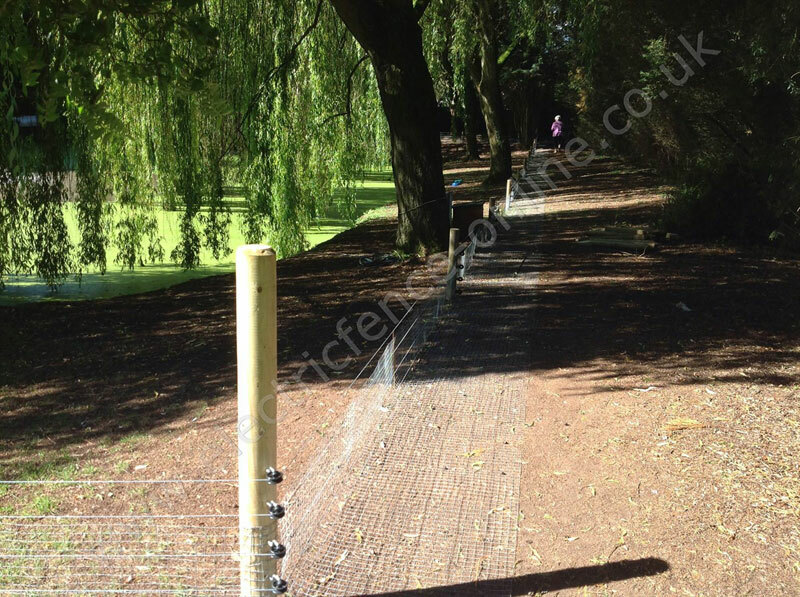 An otter fence was required to protect this customers lake from predation by otters. 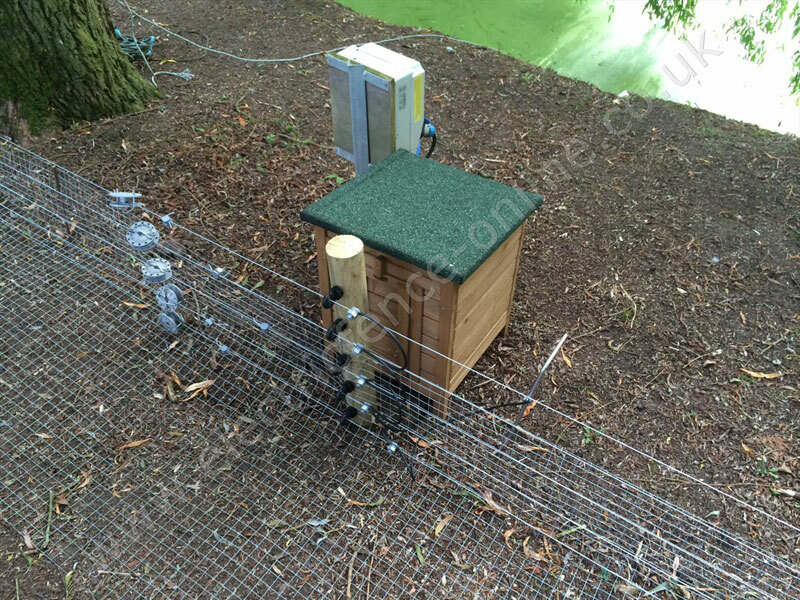 This fence design would be equally effective against mink and if installed closer to the waters edge (about 1 foot from the bank) heron too. 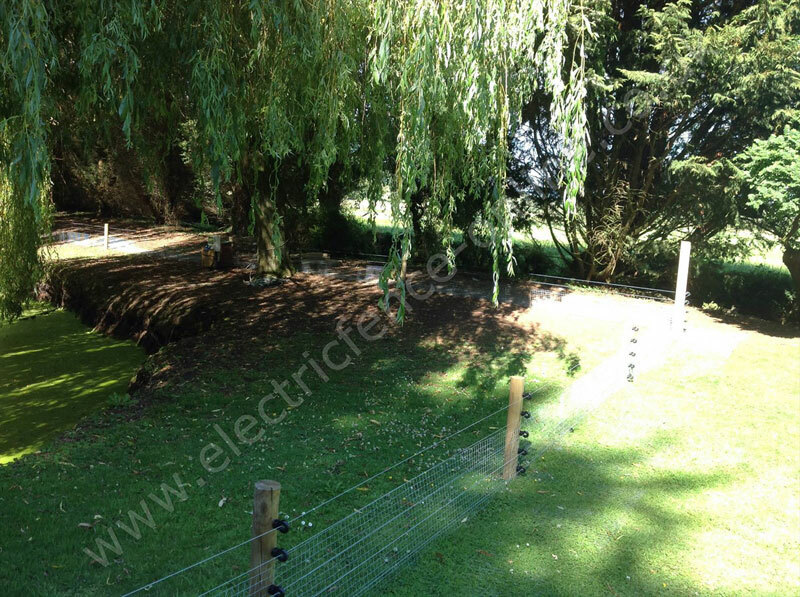 The fence consists of 3ft x 25mm wire mesh nailed to wooden posts to a height of approximately 35cm with the remainder lying horizontaly on the grass outside the fence line to prevent the otter from tunneling under the fence. 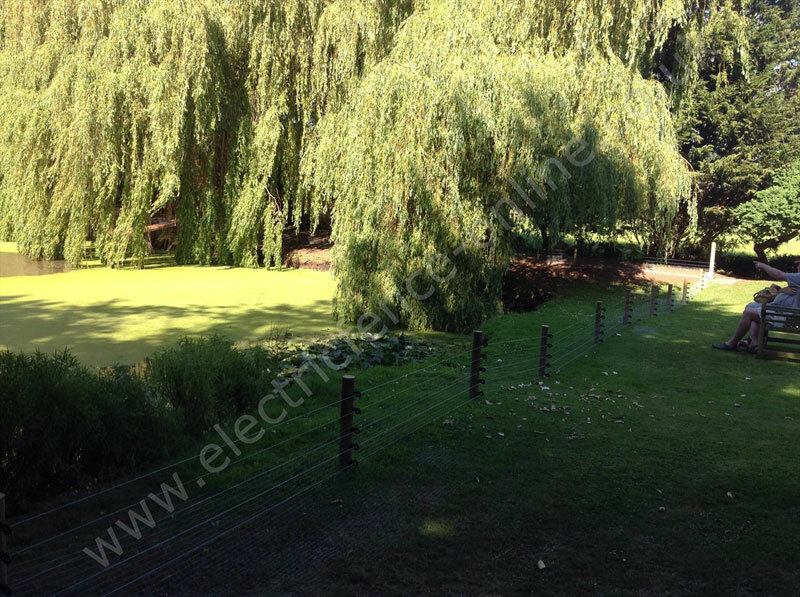 Grass will soon grow over the mesh and improve the appearance of the fence and being flat to the ground, it won't interfere with mowing or strimming the grass. 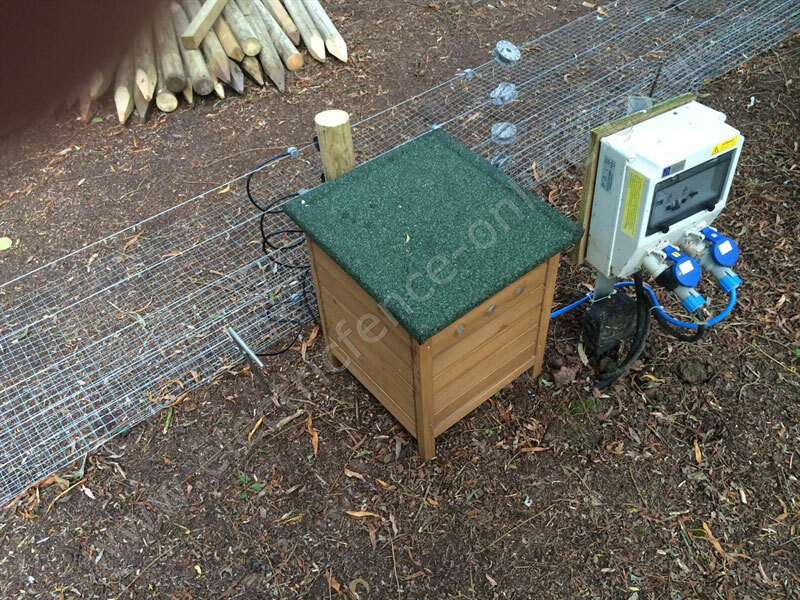 Please note that the mesh is also connected to the fences earth system (the earth spike). 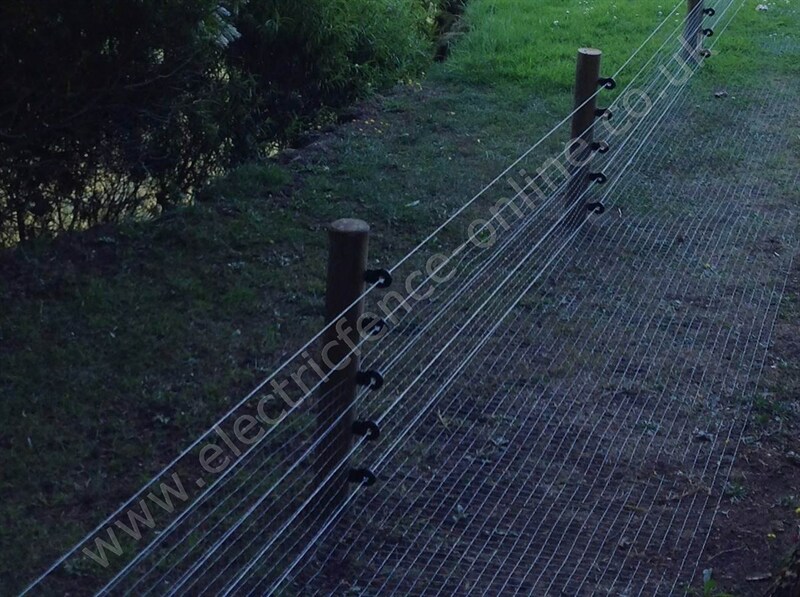 In addition to the mesh, there are 5 lines of galvanised wire at 10cm increments, starting at 5 cm off the ground. 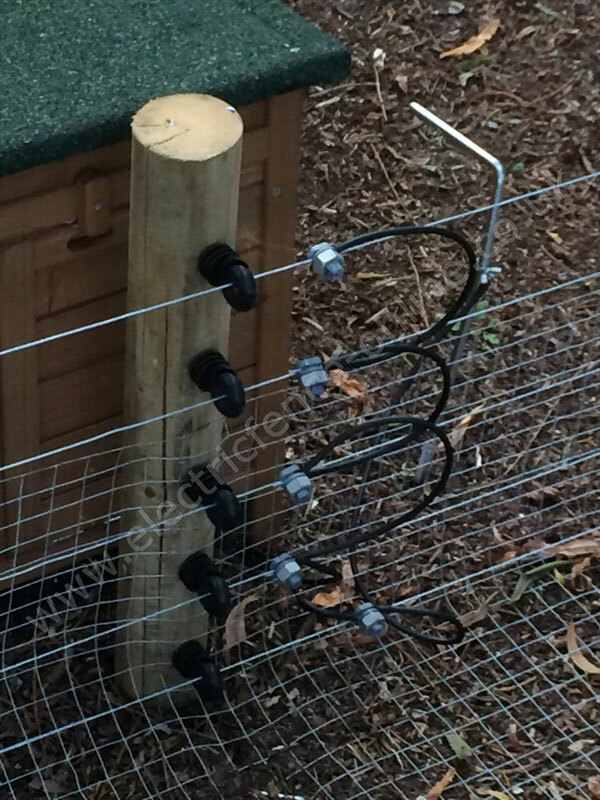 The bottom line is earthed, simply acting as a scare wire and hopefully keeping hedgehogs safe; the other lines are live. 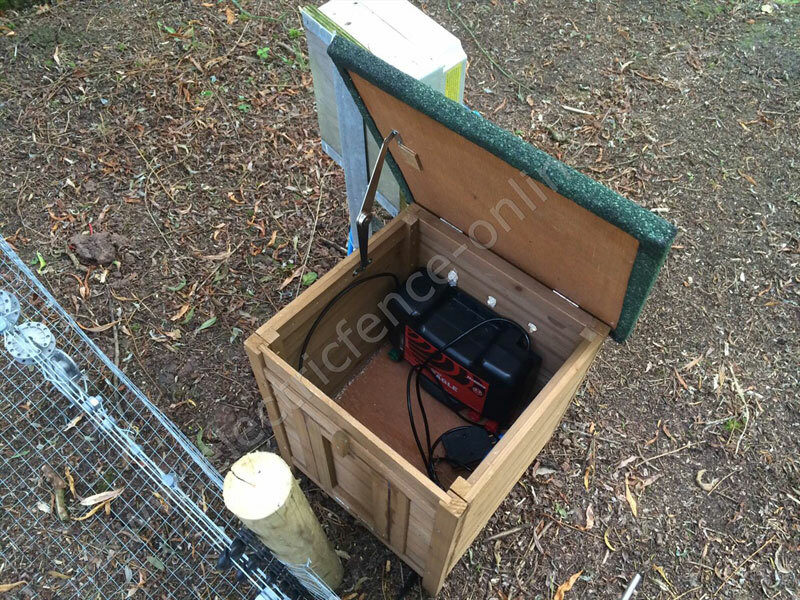 Corner and end posts have been left considerably taller that the standard posts in case additional higher lines need to be added to the fence in the future, which may be necessary if the fox comes to visit nesting waterfowl. 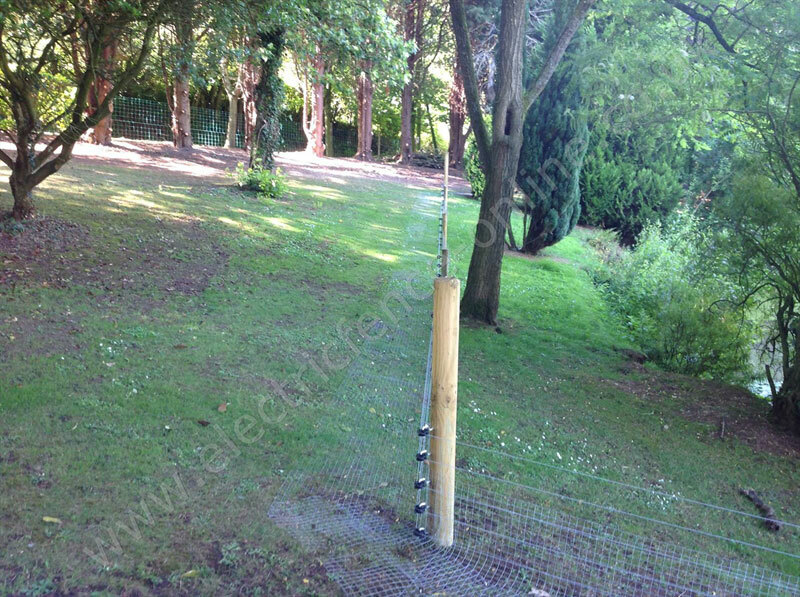 Wire Mesh - sourced by customer locally. 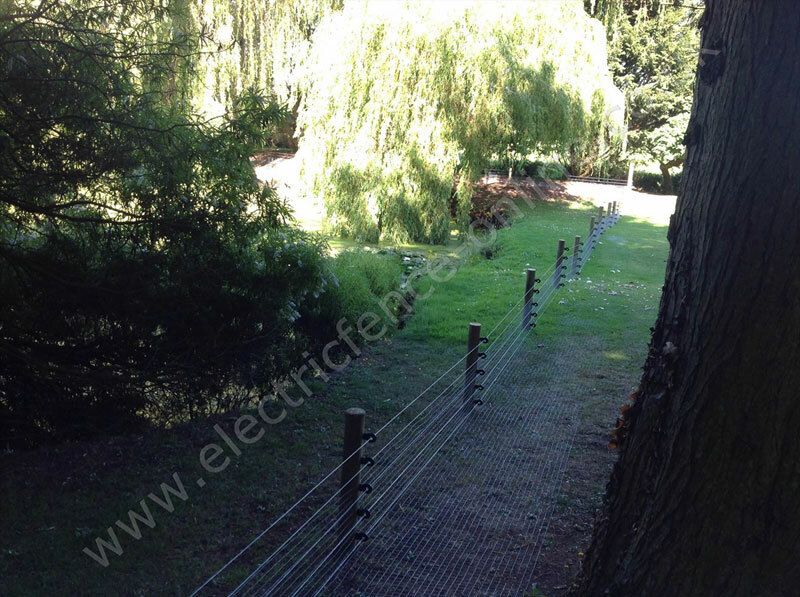 The fence was installed by Wells based landscaping company High Standards.